As we know that a bridge plays an important role in the development of a strong connection between the two pores which are a bit far from each other. Likewise, to establish and run a business with a fast pace, grace, and smoothness, being a business owner mainly you also need to create a strong bridge along with several lavish and comfortable facilities between you and your customers. So with the help of that bridge, you both can connect with each other any time of the day. Similarly, in a way to the awesome growth of a restaurant, an online food delivery app is becoming that strong bridge, by stepping on which a restaurant business owner can be able to reach the particular food order in the hands of the requested customer at their registered address or location. While on another pore of the bridge, from where a customer has placed an online food order and is waiting to get the food is allowed to check their order status and the on-time location of a delivery boy. If a restaurant owner wants, they can make it lot more interesting and cost savvy for their restaurant customers to stepping feet on this bridge by running exciting offers on the use of their restaurant’s food ordering and delivering application, in the form of coupon codes or promo codes, that a customer can easily avail by the code at the time of placing a food order and save a huge amount of money. An online food delivery system is not only behaving like a pull between the restaurant and the customers but in fact, it also is a blessing for the thousands of limited educated job seekers or the unemployed people. As with the invention of such online food deliver application a numerous needy gig get a job as a food delivery individual and earns a respectable income along with a sufficient intensive which helps them to make their life a satisfied one and well going. You can anytime add this online food delivery app into your restaurant, for this all you need to get in touch with us. 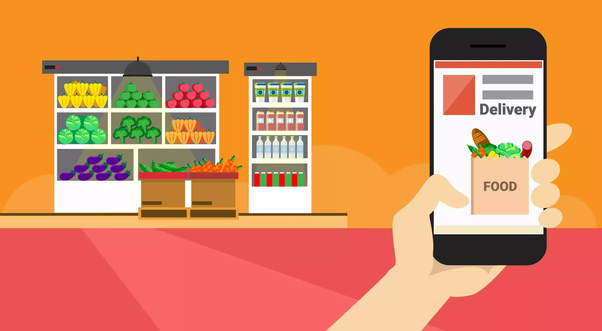 As with the invention of such online food deliver application a numerous needy gig get a job as a food delivery individual and earns a respectable income along with a sufficient intensive which helps them to make their life a bit more comfortable and standardized.